The hot new small block V8 in the GM lineup is the hyper-aggressive LS3. It offers a high-revving 376-inch combination that represents generations of small block V8 development and engineering. Not only is the LS3 an amazing engine in its stock configuration, but with those high-flowing rectangular port cylinder heads, the LS3 is loaded with potential. To tap into this potential, the engineers at GM Performance Parts offer you the LS 376/480 - an LS3 with an upgraded camshaft that ups power by a whopping 50 horsepower! 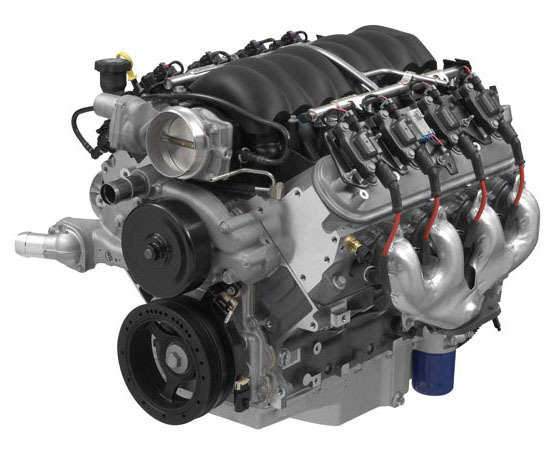 The LS 376/480 comes with the same great features as the LS3 crate engine. The bottom end includes a 6-bolt aluminum block, nodular crank, high performance rods, and 10.7:1 pistons. The heads are high-flowing rectangular-port units that share their design with the amazing LS7. The same EFI intake manifold feeds the hungry engine, while 1.7:1 roller rockers work with the upgraded camshaft. The GM Performance Parts engineers picked the LS Hot Cam (p/n 12617570) to take the LS3 to the next level. This cam specs out with .525-inch intake and exhaust valve lift. Duration (@ .050 inches) is 219 degrees intake and 228 degrees exhaust. This cam allows for a dramatic increase in power across the power band while still maintaining good street manners. 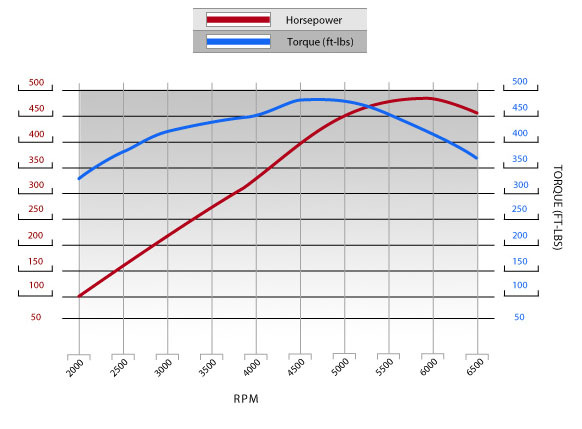 The engine will idle and cruise just like an LS3, but the power increase is there whenever you need it. With all of the same great components as the LS3, but with an additional 50 horsepower, the new LS 376/480 is ready, willing, and able to answer your call for a new LS crate engine.